The ultimate protecting glove keeping you from getting hurt when fighting the fish. Equipped with strong 3kg magnet with 2 carbine hooks. Soft strong fabric mix of 60% polyester, 30% nylon, 10% elasthan. Savage Gear. 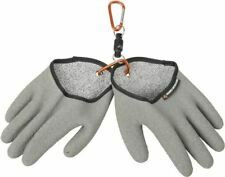 Superior and cool looking SG Short Finger Fishing glove with lots of details made in great design. 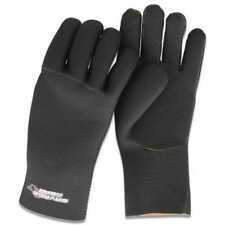 A very comfortable glove with cut off fingers made in best materials for maximum feeling. SAVAGE GEAR Shield Glove XL. The ultimate protecting glove keeping you from getting hurt by sharp teeth and fish scales. Soft yet tear-resistant shell fabric of 100% polyester micro fiber, Ottoman weave, for upper hand. SAVAGE GEAR SHIELD GLOVES LARGE. Soft yet tear-resistant shell fabric of 100% polyester micro fiber, Ottoman weave, for upper hand. Strong hard-core material inside palm. Great finger feeling. 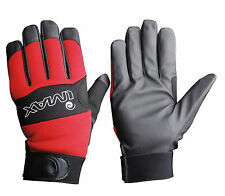 SAVAGE GEAR Boat Glove XL. • Strong 3.8mm thick flexible CR neoprene. • Soft comfortable 100% polyester micro fleece lining inside. Unit 23 Northfields Industrial Estate. Reid Marine & Outdoors Ltd. The ultimate protecting glove keeping you from getting hurt by sharp teeth and fish scales. Soft yet tear-resistant shell fabric of 100% polyester micro fiber, Ottoman weave, for upper hand. 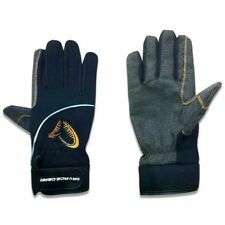 Strong hard-core material inside palm, great finger feeling and Neprene cuff with velcro adjustment for perfect fit..